It is critically important to ensure you have the right plumbing company in Ottawa for your project. You deserve a plumber who knows how to do the job correctly. Choose one who will respect your home or business as if it was their own. Since we started our business over 20 years ago, we’ve aimed to be reliable, relatable, and sincere. In 1992, Maxim Osadchyi founded our company in the Greater Toronto Area. Since then we’ve expanded to be your local Ottawa plumbing services provider. Maxim’s dedication to being a professional, yet family oriented businessman connected with his customers. Today, our plumbing engineers keep this spirit alive, guiding us to give the best quality service. It goes beyond professionalism. After years of serving the citizens of Ottawa, you’ve become more than our clients. You’re our neighbors and friends. We understand your needs, because Ottawa isn’t just a place where we work. Ottawa is our home. To call Dr. Pipe is to call a plumbing service that will put your needs first. The fact that we are locally-owned and operated means we are committed to providing Ottawa with exceptional, affordable service. When building our family’s plumbing building from the ground up, Maxim Osadchyi had a particular advantage. Unlike the competition, Maxim had fine-tuned his invaluable plumbing knowledge and skills working in the most successful Israeli plumbing companies. Maxim was no fresh-out plumber. He was a seasoned professional who knew his trade. Starting in 1991, our family business grew globally to Ukraine, Israel, and finally to Canada in 1992. We began our Canadian services with five employees. Thanks to our outstanding service and quality work, our customer base grew and we expanded to meet the demand. Yet, we never lost our initial inspiration, or our desire to serve our customers. Today’s experts from Dr. Pipe professionals are always ready to help. Using the latest technology, we to do the job better, neater, faster, and cleaner than the competition. For the same quality of work, we’re often more inexpensive too. 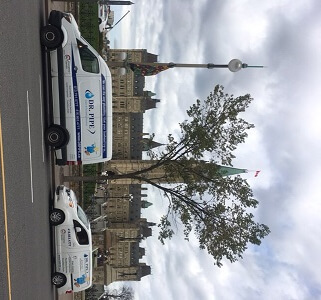 From Maxim’s dream to our team today, we strive to be the best Ottawa plumbing company. Ottawa, you expect the best when it comes to their plumbing and draining service provider, and we can give it to you. We can offer the fairest prices for high quality services as our standard. If there is a special service you need, we will work with you towards the best solution. Don’t hesitate! Give us a call today at 613-791-5777. Let us show you how a top plumbing service provider can meet your plumbing needs.